Hotelemarketer.com is a hotel marketing blog, created to share hotel marketing strategies, digital marketing best practices, case studies, creative ideas, research and stories. Topics covered include hotel marketing, digital marketing, social media marketing, hotel distribution, hotel loyalty programs, partnership marketing, advertising, public relations, Food and Beverage marketing and more. Is the end really nigh? A recession is here again….and as with every economic downturn, echoes of despair and quick fixes permeate the wires. That’s all well, of course, except for the fact that this is no ordinary downturn…this one’s big, real big. Some say we’ve just about hit bottom now, others claim the fall’s decelerating. Only the fittest will survive, proclaim the Darwinians, somewhat gleefully. That may be true, but the good news is that the evolution of businesses need not be as fatalistic an affair as the evolution of species. The great thing about hitting bottom is it gives the eventual survivors the chance to catch a breath, gather their bearings and strategize about the climb out. It goes without saying that the animal that’ll emerge from the fray will be a leaner and wiser one. This is all about conscious decisions…and the individuals that choose to make them will lead their organizations to even greater heights. Survival and victory are the domains of those willing to fight for them. 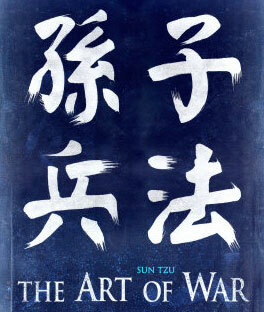 Perhaps the art of doing good business is not so different from the art of war? Disciples of Sun Tzu would certainly agree. Sun Tzu taught that strategy was more about rapid, apt responses in the midst of competitive turmoil, rather than indulging in the luxury of planning by checklist in a placid environment. This is where most businesses seem to be faltering, as they vainly struggle to plan as they’ve always done, amidst a new, raging storm. Rapidly changing conditions and colliding competitive plans lead to situations where checklists just haven’t gone before…or ever will. So…do we really know ourselves? We may think we do. The trouble with good times is that they offer very effective masks to just what’s wrong beneath. The perceptions we may have of ourselves and our businesses may no longer hold true in the stark light of adversity. So before we set out to war, perhaps its time for some introspection…just who are we? Who do we serve? How? What are our capabilities…and our weaknesses? Applying the same approach to businesses, do we really understand what our business model is…and is it internally consistent? Can we match demand and supply well? How about our customers and what they really want, not just what we “think” they want? Do we really have inimitable resources at our disposal and a sustainable competitive advantage? Back to the world of hotels – how many hotels do we know that have really changed their approach to the way things work at the core? Does the “strategy” to surviving the recession simply involve cutting costs, slashing rates and laying low… till it’s all, thankfully, over? Do we still think our competitors of yesterday are our competitors today? Many businesses that carry through the inefficiencies of the past through to the present may get lucky and ‘survive’, but the true winners are going to be those who take a deep look within and emerge with a renewed sense of purpose. Let’s face it. This recession is not about reasonable average rates or maximizing hotel occupancies. Nor is it about simplistic cost cutting or gimmicky marketing. What it’s really about is discovering true identities…ours. About the author: Jitendra Jain (JJ) is the founder of various online initiatives like http://www.hotelemarketer.com. http://www.thetalentjungle.com and http://www.younghotelier.com (among others) that dream, connect, educate and share all that is glorious about hospitality, technology and most importantly…the people that define our times. That’s a pretty interesting application for the art of war . . .